Cobalt-winged parakeets at a clay lick in Yasuni National Park, which the Ecuadorian government is increasingly opening up to oil drilling. Photo by: Jeremy Hance. The world loves its protected areas, according to a new study in the open access PLOS Biology. U.S. and UK researchers estimated that the world’s protected areas received eight billion visits every year. That means on average every person visits 1.1 protected areas a year when looking at the global estimated population of around 7.2 billion today. Moreover, the research found that the world’s 140,000 protected areas likely brought in at least $600 billion to national economies. “It’s fantastic that people visit protected areas so often, and are getting so much from experiencing wild nature—it’s clearly important to people and we should celebrate that,” said lead authorAndrew Balmford with Cambridge University. Even with these impressive numbers, the researchers caution that they are likely underestimates. To come up with their estimations, the researchers used visitor data from 550 protected areas around the world and then extrapolated that to the world’s total 140,000 parks and nature reserves, basing visitor numbers on each one’s size, remoteness, and national economy. Balmford called the model “limited,” but “the best there is at the moment.” The team also excluded marine protected areas, Antarctica, very small reserves, and Category I Protected Areas, which are generally off limits to most types of tourism. The scientists calculated that visits were highest in North America—approximately three billion visits a year—and lowest in Africa—around 100,000. All told, visit in North America and Europe accounted for about 80 percent of total visits. 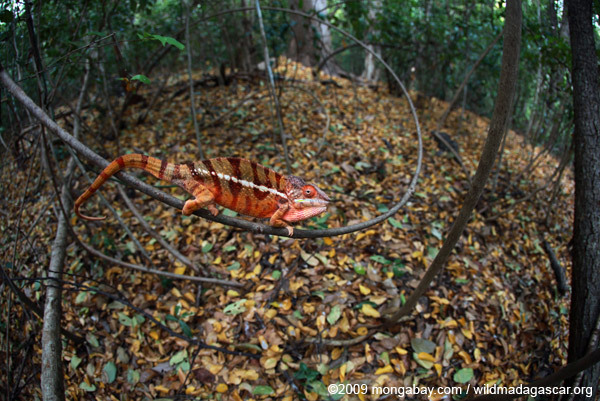 Panther chameleon in Ankarana Reserve in Madagascar. Ecotourism is a big economic boost for the poor, island country. Photo by: Rhett A. Butler. The researchers say their findings prove that governments are spending far less on protected areas than they should. Indeed, recent research found that 50-80 percent of the world’s protected areas (including marine protected areas) were underfunded or poorly managed. Of course, the world’s protected areas also provide much more than just tourism money. They also conserve the world’s embattled biodiversity, store tremendous amounts of carbon, safeguard freshwater sources, and, according to research, provide unquestionable psychiatric, spiritual, and cultural benefits. “Yet many [protected areas] are being degraded through encroachment and illegal harvesting, and some are being lost altogether. It’s time that governments invested properly in protected areas,” noted Balmford. In recent years, many protected areas have also been abolished, downsized, or downgraded, often in an effort to exploit them for natural resources, such as logging, mining, agriculture, or oil and gas. 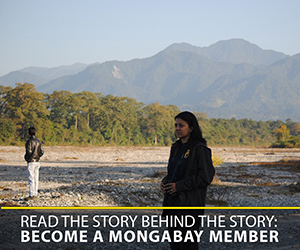 Some countries have even begun to take a hostile view towards protected areas. For example, Australia’s government has pledged to create no new national parks and attempted—though failed—to strip an area from a UNESCO World Heritage Site for logging. Meanwhile, the U.S. House has passed legislation that would hamper a President’s ability to establish new protected areas, though it’s unlikely Obama would sign. Apple made $18 billion in the last quarter of 2014, the biggest ever by a public company. Aerial view of Imbak Canyon Conservation Area in Malaysian Borneo. 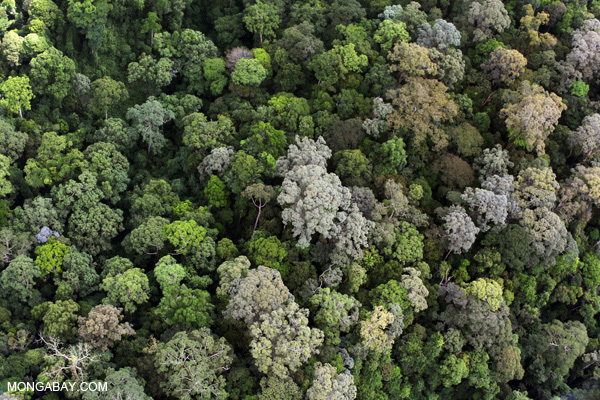 Malaysia had the world’s highest rate of forest destruction between 2000-2012. Photo by: Rhett A. Butler. (02/25/2015) Last year, scientists released an emergency three-year plan that they argued could, quite literally, save the world’s lemurs from mass extinction. Costing just $7.6 million, the plan focused on setting up better protections in 30 lemur hotspots. However, there was one sticking point: donating to small programs in one of the world’s poorest countries was not exactly user friendly. (02/24/2015) An unassuming brown bird, tiny both in body and population size, hovers on the edge of extinction as its habitat is cleared for agriculture and its nests are parasitized. In response, conservation organizations created a reserve expressly for the species’ preservation in the late 1990s; now that reserve is being expanded to try to push one of the world’s most endangered bird species farther back from the precipice. (02/10/2015) In an 11-square mile strip of forest on the slopes of a plateau in northeastern Brazil lives an entire species, considered by scientists to be one of the most endangered birds in the world. Now, 18 years after it was first discovered by scientists, conservation groups have acquired 140 acres of land to establish the first-ever reserve for the Araripe manakin. (02/05/2015) Last year, more than 6,000 people gathered for the World Parks Congress 2014, an event held around every ten years by the International Union for Conservation of Nature (IUCN). The World Parks Congress discusses myriad issues related to protected areas, which recent research has shown are in rough shape. (02/04/2015) Hungry for oil revenue, governments and fossil fuel companies are moving even further into one of the world’s last great wildernesses, according to a new study in the journal Environmental Research Letters. The total area set aside for oil and gas in the Western Amazon has grown by 150,000 square kilometers since 2008, now totaling more than 730,000 square kilometers—an area the size of Chile. (02/03/2015) For years, biologists believed the Sierra Nevada fox was down to a single population of around 20 animals in California’s Lassen Volcanic National Park. But then in 2010, biologists found a small population near Sonora Pass. Now, more good news: last week, scientists documented the first Sierra Nevada fox in Yosemite National Park in nearly 100 years. (01/29/2015) Tracking lions, photographing bats, collecting insects, bringing elephants home: it’s all part of a day’s work in Gorongosa National Park. This vast wilderness in Mozambique was ravaged by civil war. However, a unique and ambitious 20-year-effort spearheaded by Greg Carr through the Gorongosa Restoration Project is working to restore this rich and little-studied African wilderness. (01/22/2015) Indigenous communities claim—and scientific evidence increasingly shows—that indigenous forested territories are as well protected as, or better protected than, government-designated parks. In areas under pressure from roads or development projects, deforestation rates are sometimes even lower in indigenous territories than in official protected areas.